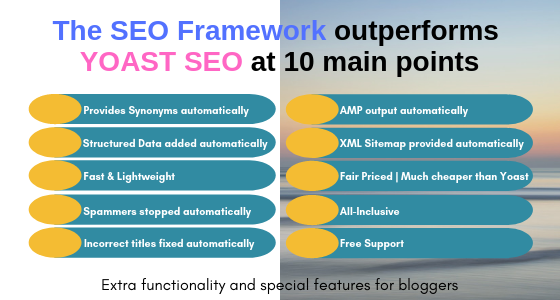 The SEO Framework is (one of) the BEST WordPress SEO plugins for bloggers and has everything you need for SEO. The SEO Framework is often mentioned as a viable alternative for Yoast and has many positive, spontaneous reviews: What others say. 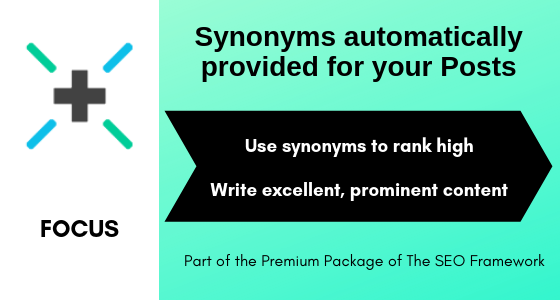 The SEO Framework helps copywriters and bloggers to write text according to Google’s new standards so that the chances of a higher position increase enormously. 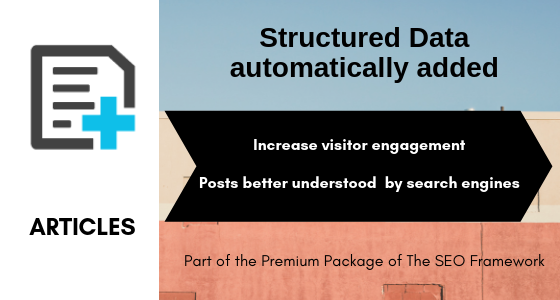 The SEO Framework plug-in ensures all basic SEO matters, is pre-configured and as such offers an excellent starting point for your blog/website. But it also offers additional functionality and special features for bloggers and copywriters, as I will discuss in this blog. The TITLE FIX extension fixes incorrect titles that are rendered by outdated themes. The AMP extension outputs important SEO data for AMP supported articles and pages automatically. A Premium License for The SEO Framework is $39 per year, while a license for Yoast SEO Premium it is $89 per year. 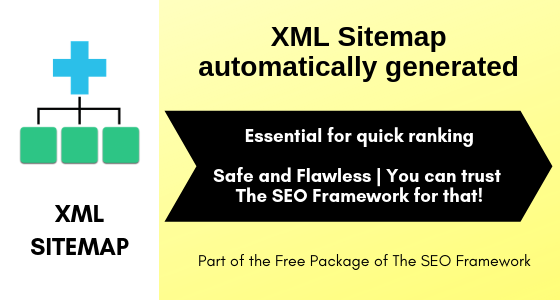 A Premium License for 4 sites is $99 per year (The SEO Framework) resp. 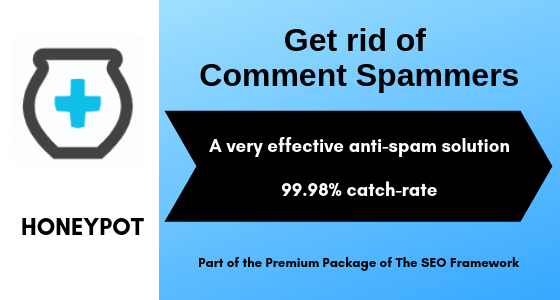 $239 (Yoast SEO Premium). 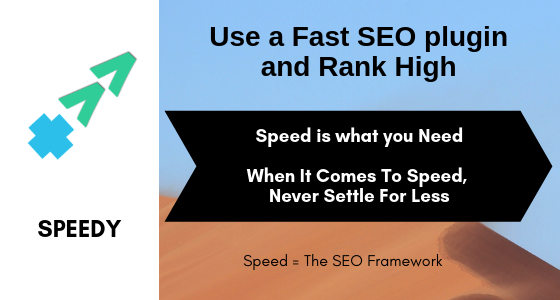 With the SEO Framework, everything is included! The support directly from the developer of The SEO Framework is not only completely free but also second to none. If you want to switch from other SEO solutions to The SEO Framework, check out the 10-minute SEO migration guide.